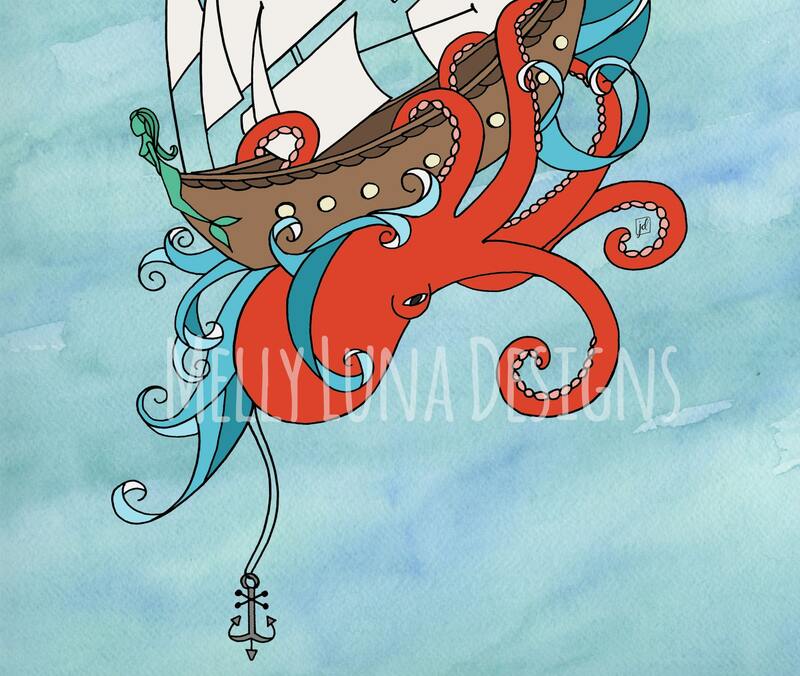 Original artwork inspired by a local event featuring everything ocean themed. 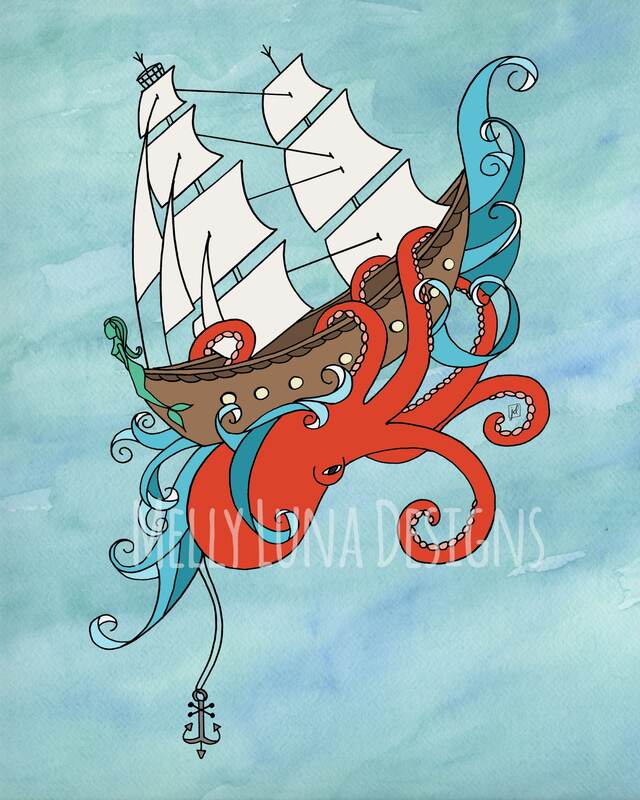 This one is called "Into the Brink" with a giant octopus taking over a beautiful ship. The original art was created with pen and ink techniques and then overlaid on a watercolor background.